Cascom International, Inc. is widely known for its video animations and special effects. 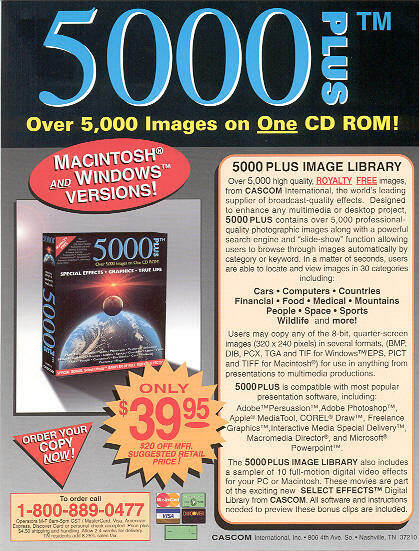 Spectrum Research created the Cascom 5000 Plus software, which consisted of more than 5000 screen captures from Cascom's stock footage videos. 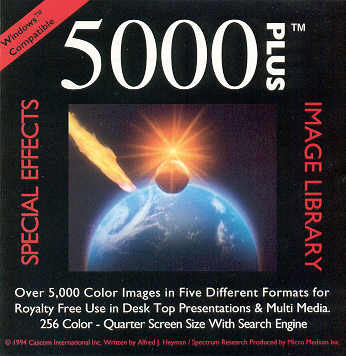 The 5000 Plus provided web designers and others one of the early sources for a completely indexed and categorized library of high-quality still images from scenery to graphics. 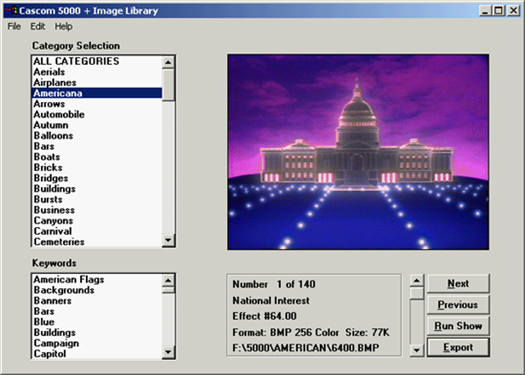 We also developed highly-specialized software to facilitate Cascom's development of additional image products.